If you have a tooth that is very hot or cold sensitive, and hurts when chewing, you may have an infected nerve. Even if the nerve is infected or inflamed, a root canal allows you to keep your tooth. 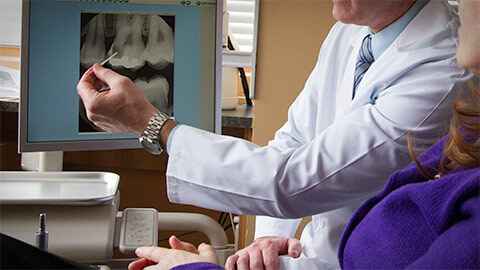 Root canal treatment is also known as endodontic treatment. Root canals have a bad reputation. Take it from us – they’re not as traumatic as you’ve been told. And they are the best way to rid a tooth of infection and keep its basic structure. If you need more information about Endodontics in Redcliff, contact us today.